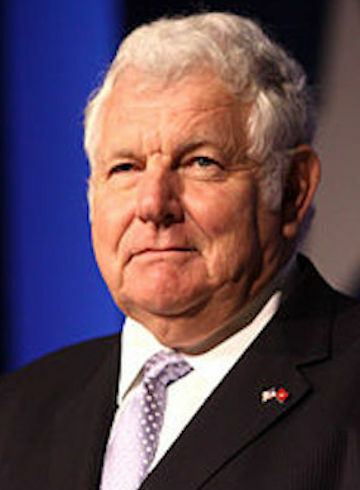 William J. Bennett is one of America’s most important, influential, and respected voices on cultural, political, and education issues. A native of Brooklyn, New York, Bennett studied philosophy at Williams College (B.A.) and the University of Texas (Ph.D.) and earned a law degree (J.D.) from Harvard. He currently serves on the Advisory Board of Udacity, one of the world’s leading online education organizations, as well as the Advisory Board of Viridis Learning, Inc. He is a Senior Advisor to HigherEducation.com, which assists colleges and universities in transitioning in-classroom curriculum to a digital, scalable platform. Bennett is also a member of the Trump Leadership Council, a private citizen advisory group to the president. Over the course of his professional life, in education, government and the private sector, Bennett has succeeded in a trifecta of American institutions. He is an award-winning professor in academia, having taught at Boston University, the University of Texas and Harvard; he is a three-time confirmed executive in the Ronald Reagan and George H.W. Bush administrations including holding two cabinet-level positions, Secretary of Education under Ronald Reagan and the Nation’s first Drug Czar under the first President Bush. He was formerly the host of Morning in America, one of the largest national talk shows in the country, and is now host of The Bill Bennett Show podcast. He is an official Fox News contributor appearing weekly on some of the nation’s highest-rated cable TV shows. He is also an experienced technology entrepreneur, having been the founding Chairman of K12.com a multi-billion dollar online education company. Bennett has written or co-authored more than 25 books including two New York Times #1 best-sellers, one of them being the Book of Virtues, which was one of the most successful books of the 1990s. His book Tried By Fire: The Story of Christianity’s First Thousand Years has also quickly become a best-seller. His three-volume set of the history of the United States entitled America: The Last Best Hope, has been widely praised and adopted for use in schools around the country. The Sunday New York Times previously named Bennett the “leading spokesman of the Traditional Values wing of the Republican Party.” Although he is a well-known Republican, Dr. Bennett often has crossed party lines in order to pursue important common purposes. Thanks to his government positions, his writings and speeches, and thousands of media appearances, William Bennett has had extraordinary influence on America’s political and social landscape. In many surveys and publications, he has been named one of the most influential individuals in America. He is the recipient of more than 30 honorary degrees.